By Audrey Golden. Aug 31, 2015. 9:00 AM. What is the relationship between literature and contemporary Chinese politics? China has a long literary tradition, but works written in both Classical Chinese and Vernacular Chinese haven’t always been available in translation to Western audiences. As such, many of us don’t have as much knowledge as we’d like to have about the links between fiction and current sociocultural matters. Let’s remedy that, at least in part, by thinking about some of the greatest known Chinese writers of the twentieth and twenty-first centuries, and the role their fiction plays in our understanding of Chinese politics. Lu Xun is perhaps one of the most prominent Chinese writers of the twentieth century. In 1918, Lu Xun rose to prominence with his short story “A Madman’s Diary,” which appeared in New Youth, a populist literary magazine in China. The story was written in Vernacular Chinese, and it has become representative of the New Culture Movement in the country in the early twentieth century. 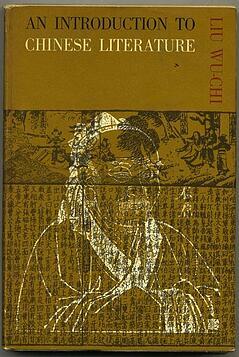 Indeed, scholars of Chinese literature have described it as the first modern short story to appear in the country. Lu took his inspiration for the story from Nikolai Gogol’s famous short story, “Diary of a Madman.” In Lu’s narrative, he critiques traditional Chinese culture by linking Confucian values with cannibalism. The writer continued to author texts through the 1920s, and he taught in several university positions. By the early 1930s, he became strongly opposed to the Kuomintang of China and its strict censorship laws. Lu died in 1936, and Mao Zedong praised the writer posthumously. While Lu Xun rejected traditional Chinese form throughout much of his career, less than fifty years later Mo Yan returned to older Chinese literature and oral traditions from the country to discuss contemporary social matters in his fiction. Mo Yan, the pen name for novelist Guan Moye, won the Nobel Prize in Literature in 2012. His path to intertwining fiction and contemporary Chinese politics began decades earlier, however. The writer published his first short story in 1981, and he became globally acclaimed when his first novel Red Sorghum (1986) was published. The novel, which has since been adapted into an award-winning film by Zhang Yimou, traces three generations of the Shandong family from the 1920s through the 1970s. Using elements from Chinese folklore, Mo Yan’s book brings its reader into a fictional universe that ultimately allows us to engage with significant political moments in modern Chinese history, from the Second Sino-Japanese War to the Cultural Revolution. Writing in a more experimental style — and often in a different language — from her predecessors, Xiaolu Guo’s novels have won much critical acclaim in the last decade. The fiction writer grew up in a village in southern China, where she was a young schoolgirl during the Tiananmen Square protests. Her brother went on hunger strike during the protests, making him the second generation in her family to engage in acts of political resistance. More than thirty years prior, her father was imprisoned for fifteen years during the Cultural Revolution for “wanting to paint,” according to The Guardian. From novelists in early-twentieth-century China to those writing from immigrant neighborhoods in London, there’s much we can learn about Chinese politics from modern and contemporary fiction. And if you’re looking for more works than those we’ve mentioned, you might explore the titles in translation available from Renditions, a Chinese-English translation magazine in Hong Kong, or Liu Wu-Chi’s seminal text An Introduction to Chinese Literature (1966). No matter which route you choose, many novels and short stories are waiting to be discovered.